What business would I like to run or even own? If you had a choice what would it be? A huge global FMCG player or a niche craft brewery in Bourton-on-the-Water? What about starting a pottery in your own home as per the ages old Barclays TV ad? If I had a choice I would buy the company that makes Allen Keys for IKEA. Every single item you buy contains an Allen Key. Cupboards, shelves, beds, kitchens, chairs. I think you even get an Allen Key when you buy their 4-packs of fresh salmon! How many Allen Keys do they “sell” in a year? The number must be in the millions worldwide; surely, it’s time for a key return initiative? Anyway, not all the keys are the same size as IKEA also uses a huge number of different bolts, fixings, screws and nuts and taking their success into account that is quite some inventory. I know IKEA uses a lot of third party manufacturers, but this means huge spare parts inventories are scattered across the globe. I wonder how they manage? I suspect they use some form of Supply Chain Analytics and being IKEA, the package is probably called something like Levy Pupus (it’s an anagram). While this is not IKEA, I do have an example of how Analytics unlocked working capital and made a significant difference to 1 company with a large spare parts inventory. This engineering business sold components require for new-build constructions as well as ensuring spare parts availability for subsequent repairs and maintenance. Demand signal profiles were different for each stream and with large differences between individual components, inevitably this was difficult to manage. However, supporting both business streams at high service levels was a USP of the company and therefore vital for success. Perhaps inevitably, the operation was struggling to keep inventory levels under tight control. Analytics was used to segment the demand between the new construction and ongoing spare parts businesses. 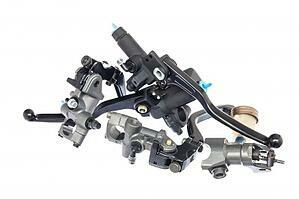 The team then used SupplyVue to further segment demand for spares into multiple similar granular boxes and analyse the flow of parts through the chain. This analysis reset the replenishment policies and parameters and the resulting inventory availability and stock levels. The analysis revealed inconsistent and poorly matched supply and inventory parameter settings across the portfolio. This provided a significant opportunity to establish a coherent and more appropriate set of policies for each spares segment. 1. Pockets of gross excess inventory were identified, and the analysis indicated an 80% inventory reduction was achievable. This resulted in dramatically reduced working capital, lower storage charges AND better service. 2. In addition, the application of more repetitive based replenishment methods and parameters created a much more predictable and smoother demand signal for in-house manufacturing and 3rd party suppliers. This may be a little more complicated than my desired IKEA key supply business, but it needed a powerful analytics tool to really understand what was going on in a complicated operation. Analytics can be a once off diagnosis or you can purchase a licence and embed something like SupplyVue into your routine business management. Why not try a free of charge Supply Chain Health Check? Supply Chain Improvement via Analytics - well worth a closer look! Just when we thought winter had been and gone it bit back nastily with a short, sharp shock of bad weather including snow and bitter cold. Typically, UK was unable to cope and as an example I spent 5 hours looking out of a cabin window at Birmingham airport while 10mm of snow gently fell. Eventually I arrived back in Bucharest to find significantly more snow yet very little disruption, as usual. What else is hitting the headlines at the moment? POTUS Donald Trump thinks it’s a good idea to tackle the problem of gun attacks in schools by arming teachers. Is your cuppa too sweet? Of course, add more sugar. Waistline too big? Eat more food. Everybody except POTUS and the NRA considers introducing more guns to schools is a bad idea. On the business front, February is over in its usual short, yet sweet way and we are now well into March as the end of the first quarter for many companies draws near. Your ability to make an impact on the Q1 results is slowly vanishing and if you are short at the top or bottom then you should still resist the urge to push stocks into the trade. Just as arming maths teachers is plain daft, pushing more stock into the trade is similarly unwise yet it remains a go-to solution for some. As bad as this is, what is worse is that it is highly likely you already have too much inventory dotted along the chain. From a planning manager perspective this is about just in case rather than just in time! Do you know the precise stock level that will deliver your target service levels and in market sales? Do you know what you need to change to achieve your supply chain and ultimate business targets? Do you genuinely understand what is happening inside your own supply chain? Like those mustachioed David Bedford money lending look-alikes, you are not alone. In the last 10 years or so, despite investments in sophisticated ERP and other supporting systems, huge opportunities to further improve supply chain performance have become available. Free: An initial free test drive on a sample of your data will indicate the potential benefits. Fast: A proven step by step data loading process from your existing source systems. You don’t have to wait for a lengthy IT implementation to benefit from Supply Chain Analytics. Instant: The software is pre-built with analytics reports, calculations, trends and data collation capability. Accessible: A secure cloud-based platform with access from your PC, tablet or mobile. Profitable: You are weeks away from starting the process of saving millions of Euros AND reaching those ambitious sales targets. Don’t be frightened by Supply Chain Analytics; they are the future leading towards your Supply Chain excellence. A selection of stunning case studies will be published shortly. Take a look and then get involved. Your FMCG Supply Chain: The end of January is nigh! Where has that first post-holiday month gone? Suddenly it’s the 24th of January and there are only 7 calendar days and 5 working days until you close the month. Adopt panic stations despite what Corporal Jones of Dad’s Army would say. Are you ahead of the required run rate or are you suffering the usual FMCG malaise of looking to push stock into the trade in the last few days? After all, nobody at HQ likes missing the first period target of the year, do they? I’d guess you have about 60% of your turnover complete which leaves you with 40% to plan, make, deliver and most importantly, invoice in those last 5 business days. The chaos this causes to supply chains is rarely fully understood in other disciplines. This is what month end loading does and this list is not exclusive. Selling stock that is not actually required in the market only because you need to generate turnover and profit……. Blocks up warehouses AND wallets for the next period. Overloads capacity in warehouses as high levels of stock try to get in and out at the same time and often through the same doors. Distorts demand signals for sold SKUs not in the plan. Creates huge pressure and long hours for the supply chain team and 3PLPs. Disrupts promotional planning due to stock not being available for co-packing. Causes inevitable errors in picking, packing and invoicing due to excess volume against a ticking clock. ….and then a very, very quiet first week of the succeeding month. Nobody expects you to achieve 4-6% of monthly sales on each working day; life is not like that. Everyone along the supply chain including customers and consumers have cash flow and space constraints as well as competitive pressures but over loading the last week of the month must stop. Blindly loading stock to meet numbers is an unsustainable practise and against corporate codes of business principles. Add this to the disruptive chaos caused and there is no doubt it is negatively impacting your long-term business aspirations. If trade loading is a problem, then you just have to bite the bullet and take a hit in the month and why not in January to continue the rest of the year as you mean to go on? Of course, you will not win the corporate monthly sales award but stopping the routine of heavy loading in the last week of the month will put you on a far more secure and reliable footing both in terms of market performance and reputation. 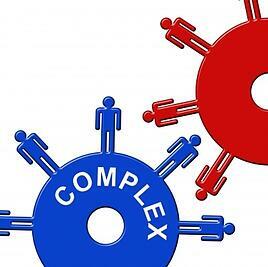 You need to take steps to erradicte this behaviour but your pain can be minimised by…..
Running a genuine S&OP process, which is visibly led from the top team. Encouraging staff to pass actionable information throughout the business and avoid data bombing the next functional silo. Stop trying to prove others wrong; prove them right! Being brutally honest as it’s always the best policy. It’s business, not personal. We are in the final week of the month, what lengths will you go to in order to reach the monthly target? Think very, very carefully. Chris Rea has finally found the correct turn off, a lot of people in Africa still don’t know its Christmas and the novelty Santa toilet seat cover is back in the box. Oh, and chocolate Easter eggs are in the shops 4 months in advance. Christmas and the New Year holidays are well and truly over, and the clock is already ticking down on the month of January. As I type it is the 10th of January, so you have 15 working days left to get your year off to a flying start. And once January has gone and the short month of February flies by you will be well into the 1st quarter. Time is already running out so do you know your supply chain priorities for 2018? The one in/one out policy for new SKU introduction will be overridden by sales and marketing plans that overestimate the benefit of additional SKUs. Despite the usual guarantees and commitments, you will end the year with far more complexity than you started. You will retain the same number of key SKUs that account for 80% of your business but maintaina rat’s tail of SKUswhich contribute little to turnover and profit. Your inventory cover will remain high as demand planners knee-jerk stock build as they do not understand which specific SKUs are driving the excess. You will set stock reduction targets by shaving the number of days cover and while this may allow you to tick a KPI box it does not remove the underlying causes. You belatedly consider some clever supply chain analytics to see past the one-dimensional limitations of ERP functionality. Preparations will be last minute as deadlines for receipt of artwork are missed despite the supposed rigours of the NPD and SAP processes. Agreed volumes will be eventually be shipped only to sit on the shelves after the target period causing a knock-on detrimental effect to subsequent promotional schedules and regular demand. Your target for reduction of write-offs and waste will not be achieved and by some distance. All your best efforts to avoid selling huge amounts of product in the final week of the month fall on deaf and dumb ears. The business continues to struggle as insufficient resources are available at month end to manage the sales push. Despite the source of the problem the sales team bleat on about lost sales when they actually mean lost bonuses. This should be the most important process in the business, but it isn’t working and you know it! In companies where all departments fully buy-in to the success of the process, the in-market results are stunning. Despite spending a fortune of the ERP your staff operate the business in a series of silo based, underground Excel spreadsheets which are littered with cell errors and inconsistencies. Business results are reported in the ERP but this is not a true reflection of how processes are applied. Perhaps that is an imperfect storm on what may happen within your supply chain, but one thing is certain. If you do not do something different to what you did last year, then you are looking at best at flat results rather than a fat bonus. 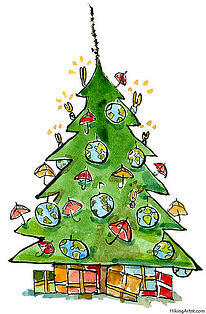 A happy new year to you and your supply chain! I have been a very good FMCG CEO this year, I promise. If you want, you can check with my colleagues and shareholders. They know how good I have been this year. Apart from the out of stocks of course, oh and the little mistake when we had to write stock off and waste lots of our money. But that is not so bad is it? Other CEOs were naughty last year and they still got what they wanted from you. I had better be honest because you will know if I am not telling the truth. We also had a problem starting S&OP and so our planning, forecast accuracy and therefore sales were not very good. They were not really big problems so I hope you can forget about them this time, please. Next year I promise to do better, I do, honestly. I forgot about the Route To Market (RTM) mess we had in the peak sales months but that really was not my fault. I also promise to do something about RTM next year and make sure it works properly so people who buy our products are not disappointed. I know it is bad when people come to buy our products and then spend their money on something else. I will talk to our distributors and find out what we need to do. I know, I know, when the new ERP computer system was switched on we were not really ready for the change but we did make it better as fast as possible. I did not think we needed any outside help for the new IT but I admit I was wrong. Next time I will get it right, hopefully without having any lost sales. The factory thing was not my fault, I think. The factory man promised me lots of product but his machines kept breaking down at the wrong times and we had to wait for the fixing men to arrive. They took ages to get the machines working and then they broke down again and again. No, it is not a very reliable factory, yet. Does the warehouse problem count against me as well? We could not find our products when we wanted them and then when we did find them they were old and out of date and of no use. This was very sad but it will not happen again next year, I hope. I have just read my message again to make sure I did not spell any words wrong and I see I was not as good as I thought. Actually, after reading this I am going to the chimney to take my stocking down and put it away in the Christmas storage box. I will try again next year, Santa. Bye bye and Happy Christmas. How many of you started to sing then? Yes, the festive period is fast approaching and the biggest and best supply chain in the world is almost ready to activate. This is always the most efficient supply hain whatever those nice chaps at Gartner may say. 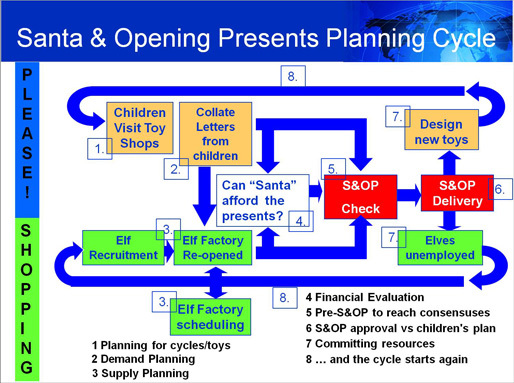 There is no way Santa Claus could achieve his annual success without sticking rigidly to an S&OP process, i.e. Santa & Opening Presents. The process starts every year on the 26th December just as children start to play with the empty packaging instead of their much sought after gifts. Their engorged parents lounge sleepily in front of the television watching The Great Escape or Jason & the Argonauts – again! The loyal Elves are given their end of season bonus and packed off back to Eleveden Forest in Suffolk. Didn’t you know that is where they live for most of the year? Before January is over those lovely people who design toys and games quickly introduce new and more exiting models which will become must-haves for countless girls and boys. Toy shops are visited and millions of children quietly note those presents they would like Santa to bring them the following. The demand slowly builds until it is time to bring the Elves back from Suffolk on the eleventh day of the eleventh month – no coincidence there! The first job for the Elves is to get the huge Christmas factory ready to run once again. In parallel with this, millions of children around the world unzip their pencil cases with a purpose. Using their best handwriting they tell Santa they have all been well behaved this year and then list all the presents they would like to receive. This accumulated unconstrained demand allows the Elf factory to start fixing production plans to meet a deadline that is set in stone. Is there a more peakier peak period? Money does not grow on trees so “Santa” must quickly check what can be afforded from the budget. Remember, the wish lists are always too long and you do not want 100% Customer Service – keep “em hungry”, I say. The Pre-S&OP takes place with all stakeholders involved to ensure everything is ready to go. You want to avoid stock-outs just as much as you need to avoid expensive write-offs. After necessary adjustments are made to the planned volumes by SKU, the final S&OP takes place. Bearded Santa is fully dressed in his best red uniform and takes his seat. If Pre-S&OP actions have not been carried out, then there is unlikely to be much “Yo Ho Ho-ing”. Fortunately, everyone is in agreement and the final set of child and associated gift numbers is rubber-stamped. Everyone involved in the Christmas S&OP must operate on the same set of numbers or somebody will be disappointed. Before you know it, there we are again on 26th December and the same robust and reliable S&OP cycle starts once more. See you next year Santa Baby! 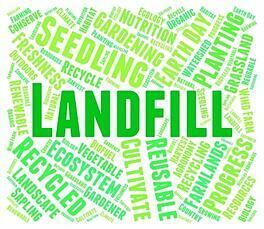 FMCG Food Waste: Supply chain speed and agility v inventory. Hooray! Many supermarket chains now sell imperfect or misshapen fruit and vegetables at a discount. As you may know I am a big fan of buying this type of food as taste has nothing to do with shape based on my massive culinary knowledge. Whether my potatoes are knobbly, or my parsnips look like Donald Trump, I simply don’t care. My other food gripe has always been about “best before” and “sell by” plus the simply ridiculous, “display until”. Food producers and legislators don’t make it easy for consumers, do they? Surely there can be 1 definitive statement for a food safe shelf life measure, for example “do not consume after….”. Slowly but surely progress is indeed being made to remove this confusion for consumers and waste for everyone in the supply chain including you. This charity in Denmark collects close to expiry, expired and slightly defective product from producers and supermarkets and sells to the public with at least a 50% discount. This has helped to reduce unacceptable food waste in difficult economic times. Unfortunately, this charity has been so successful it has started the process of turning their operation into a branded supermarket and will have 3 shops open in 2018. All good stuff then as long as the waste mountain is reduced. Well no, not at all. Why are some big name FMCG companies producing so much food stock that is either destroyed or as in Denmark, redirected to a charity. If you look at the video in the earlier link you will see some well-known names who will publicly claim to enjoy supply chain excellence. Getting their products to the consumers on time in full and at lowest cost is all very well but if the stock ends up as not required, it is surely a hollow boast? I agree there will always be some inaccuracy in forecasting – there must be – but the volumes involved are not 1 or 2 cases, it is pallet loads. These companies will all be using various clever IT tools to forecast and supply the market demand but are they guilty of pushing too much into the retail end of the supply chain? Competition dictates that your products must always be available, and the consumer decides on the spot if she/he buys Coke or Pepsi. I am still not convinced sales colleagues get forecasting in the way supply chain people must. The forecast must be based on what is being pulled along by consumers rather than what is pushed in to reach a monthly top line number. If sales forces in a number of foods companies do this then inevitably there will be waste at the far end of the extended supply chain. Someone will get their forecast horribly wrong and when thinking about huge brands even a small inaccuracy can mean a hefty contribution to the waste mountain of food and expense. You cannot ask your competitors what their volume plans are for the month to make sure there is no over-supply, but you can bring more agility to your supply chain. Demand fluctuates across the month irrespective of those companies still “enjoying” unrealistic month-end pushes. You might look at how much safety stock you have built into the plan and along the chain, reduce that cost and invest it in speed and flexibility instead. Lose some fat from your inventory waist and you will be able to move much faster when the market or a competitive move demands. FMCG Year-end 2017: Distributors overstocked? How is 2017 going so far? Are you in cruise control or is your business chaos central? Be honest now! The last quarter of the year is always difficult to manage in order to achieve 2017 results without negatively impacting 2018. When your business still relies on a healthy traditional trade serviced by distributors the balance of sales in versus sales out is always a challenge. Any major discrepancy will alert the auditors and in particular you do not want be accused of loading the trade to meet the planned numbers. If you have let your distributor stocks get out of control this can be remedied through discipline and rigour plus top-down leadership ideally through a dynamic S&OP process. Month, quarter and year-end push - Run your business on one set of numbers agreed at Board level and ensure NOBODY operates an alternative private agenda. If you follow a decent S&OP process such last minute, period-end pushes can be avoided. Let's face it; period-end sales pushes place huge strain on everybody in the organisation yet only the sales people receive a bonus for these efforts! Failed launches - Be realistic with new product launch volume projections. Brand Managers will always, repeat always overstate how successful their new SKU is going to be. They do not want to appear unambitious and nor do they want to run out of stock. This is what happens when self-interest decisions are taken outside of a healthy S&OP process. Old label stock - New launches are not a surprise and with half-decent planning you can avoid seeing old label inventory ageing in the distributor warehouse. As soon as you start pumping in a new label SKU the distributor will stop selling the old one. "Well that's his problem" - no it isn't! It blocks his warehouse, his cash and your customer service. If you plan your launch volume ramp-up well you can avoid this. Consider running a sink-market region where all stocks of the old label SKU are sold out, possibly with a discount. Old and expired promotions - If promotions have failed and do not move then bite the bullet and take rapid and direct action. Dismantle co-packs and put the valuable and original SKUs back into stock and/or re-label special offer packs. Customer returns - Producer sales forces struggle with this and particularly when it concerns International Key Accounts. You need a cast iron agreement on responsibility AND authority for customer returns. If this is contractually agreed then fine, take the stock back and recycle within your system. If there is no definite agreement then you leave the door open to individual sales people taking unilateral decisions to accept returns to get clients off their backs. Unexpected and unmanaged returns cause havoc in logistics, warehousing and in ERP's. Producer forecasting errors - No forecast is ever 100% perfect and nor should it be, by definition. However, if you measure your forecast accuracy by SKU and take actions to improve accuracy then this source of overstock can be significantly reduced. Ignore calls to measure accuracy by brand or by category as the data is useless to the people supplying the products. Damaged and expired. This is really an accumulation of all the items above. Damaged and expired products will be present in any business. To ensure they do not appear in the ERP as good stock it is important to write off and dispose of them as soon as possible. 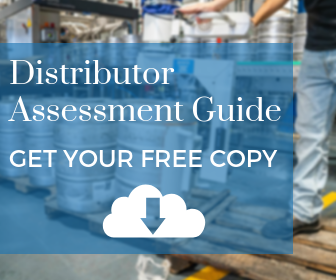 If you need to destock your distributors before the auditors come sniffing then you should get on with this quickly. No resources available? Look at who is available to help you get these tasks completed. Crush the internal resistance and get the job done now! On a daily basis the amount of care we give to the human body is remarkably little. When you are feeling in good shape the best the body can hope for is a good wash, a brush of the teeth and a slap of moisturiser if you are a bit of a girly. What else? Haircut and manicure perhaps oh, and possibly a check that your weight has not dropped that desired 10% overnight. Considering the complexity of the human body and how we cannot live without it we do not spend too much time analysing how it is performing. We probably spend more attention on our cars and IT gadgets. Why is my PC running so slow? The car is overheating, I must check this now. Such symptoms are immediately of prime importance and top of mind and must be addressed now! This all changes when we are feeling unwell. Suddenly we are taking our temperature, blood pressure and pulse rate. Blood tests may be needed. You may be wired up to monitor to see how the heart or brain is functioning. 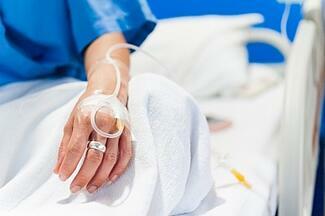 The body is now getting the intensive care it needs in hospital. Recording and monitoring this raft of data is the route to a hopefully full and speedy recovery. If your business is operating well and there is even some growth in these testing times then the usual keep fit-heart monitoring Balanced Scorecard KPIs are reported weekly or monthly. The focus is usually on getting your stuff to customers and onto shelves at the right time, in the correct quantity and at the lowest cost. Along with other company measures, e.g. finance, HR, SHEQA, the scorecard shows the health of the business. When all is not going smoothly however, the Balanced Scorecard may need supplementing with other measures. In companies where sales are below expectations and cash flow has dried up you need intensive care focus in that area. This does not mean you stop generating the Balanced Scorecard as this will contain important financial and non-financial measures. Instead, you need to place the sensors in the critical locations. Sales-out Sales-in do not guarantee you a final cash sale to a consumer so focus on the final sales transaction. Discounts Control how much discounting is taking place by those generous sales people. Is it authorised in advance and at the correct level? Debtor Days This is money owed to you so negotiate favourable terms and constantly review. If 60 days has been in place for years then it is about time this was challenged so apply some pressure. Creditor Days You owe this money but if you upset suppliers they will stop supplying! Renegotiate where possible and do your best to pay on time as you never know when you really need a favour. Overdues Where money is due to you and has exceeded the agreed terms you need a persuader to get on top of late payers. Forecast Accuracy Do not look at every single SKU; apply segmentation principles. 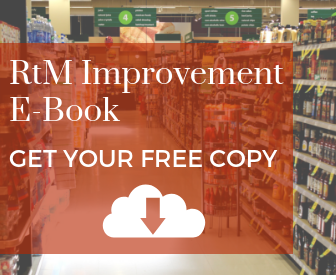 Determine which SKUs are important and make a healthy profit, focus here. 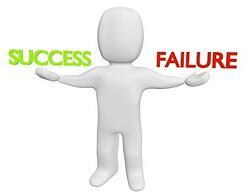 Lost Sales Investigate every significant lost sale and systematically apply a 100-year fix so mistakes do not recur. Potential write off Monitor stock age internally and at distributors and avoid this criminal cash waste. RM/PM stock If you are overstocked you should not re-order and you might consider selling some items. 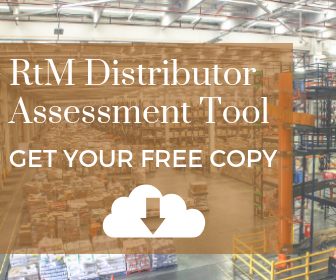 Your stocks should be aligned with those important SKUs identified above. Finished Goods stock Again, ensure your key SKUs are always available in the required quantities. Promote any excess or slow-moving stocks to generate income and minimise potential write off. In addition to the sensible tight control of discretionary spend this approach can stabilise your vital signs and guide you back to a healthy glow without the intensive glare of the suits from HQ.